We have copies of the book Miss Peregrine’s Home for Peculiar Children by Ransom Riggs available for our Young Adult Book and Movie Group. 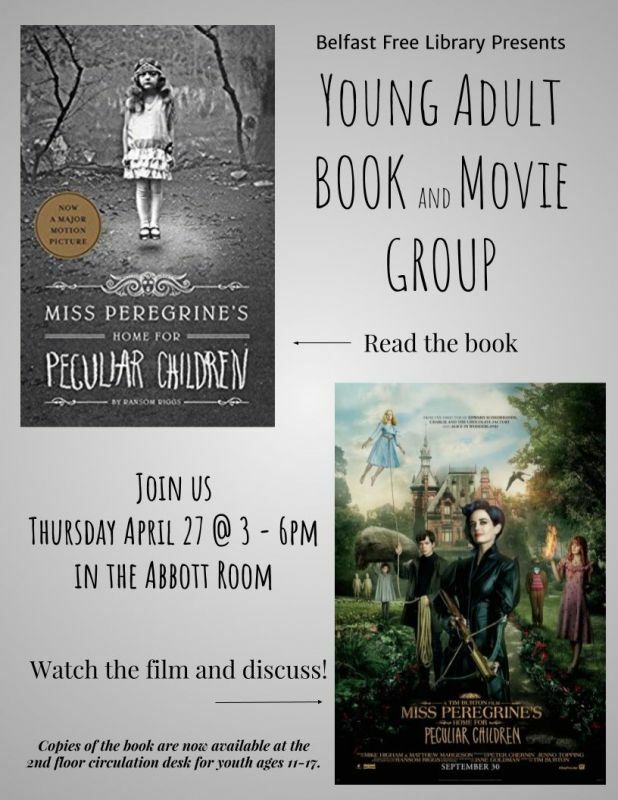 Youth ages 11-17 are invited to read the book and join us on Thursday April 27 @ 3 – 6pm in the Abbott Room to watch the feature film directed by Tim Burton. We will have a discussion of the book and film after the screening.